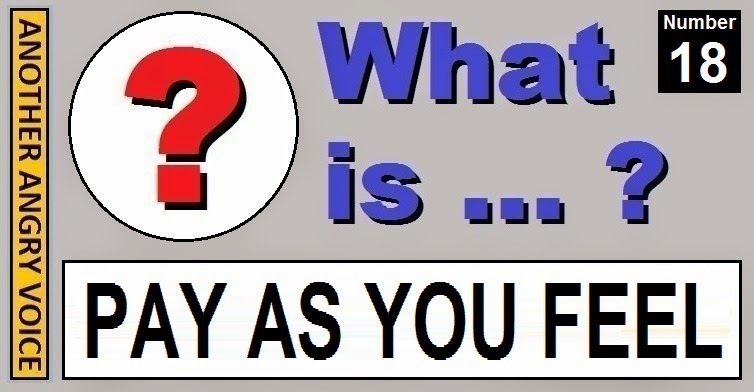 The Pay As You Feel principle (also known as Pay What You Want and Pay What You Like) is a heterodox pricing strategy that puts the customer at complete discretion over the price they are willing to pay for goods or services. The most commonly used names for this pricing strategy are completely self-explanatory because the idea that the the customer is at complete freedom to determine the price for themselves is actually quite a simple one. Even though the idea itself is simple enough, there are quite a lot of interesting economic factors to consider when it comes to breaking the orthodox mindset that things have a set price and replacing it with a pricing system that allows the price to exist as a free choice between £0 and any value the customer chooses. I'm going to begin by briefly detailing a few examples of enterprises that are funded on the Pay As You Feel principle. One of the most famous examples of a Pay as You Feel pricing strategy was the release of the 7th album by the UK band Radiohead called "In Rainbows". The album was made available for download for whatever the fans wanted to pay for it. Although the majority of people who downloaded the album did it for free, it was reported that the digital revenues from this single album were worth more than the digital sales of all of their six previous albums combined. The Real Junk Food Project is a café in my old stomping ground of Armley in Leeds that uses discarded (but still perfectly edible) food from supermarkets and chain restaurants to provide meals on the Pay as You Feel principle. To date they have saved over ten tons of perfectly good food from going into landfill and inspired several other similar projects all over the UK. One thing that should really appeal to economists is the guy who came up with the concept of this West Yorkshire pay as you feel café was called Adam Smith! Humble Bundle is a series of bundled digital creations that have been released on the Pay as You Fell principle since 2010 (here is a list of Humble Bundle packages). The average price paid per Humble Bundle has varied between just over $14 and just under $4. The fact that Humble Bundle has survived on this business model for over four years in the highly competitive markets of computer games, ebooks, audiobooks, videos and music is enough to show that Pay as You Feel is a viable potential business strategy. Although Wikipedia don't self-describe as a Pay as You Feel operation, it is quite clear that this is an accurate way of describing their fundraising operation because they rely on donations from users and refuse to allow adverts on their pages. The fact that Wikipedia is the seventh most visited website in the world, yet they only have 217 paid staff is an amazing tribute to the power of the collaborative community that built it, maintains it, and improves it; and to the the voluntary donation system that funds it. The only sources of income for this page are small donations from people who appreciate my work enough to make a donation, or set up a small monthly subscription (even though they are perfectly free have access to all of my online work without having to pay for it). When I release my book later in 2015 I plan to do it on the Pay as You Feel principle too. Conducting business on the Pay as You Feel principle has distinct advantages for both buyers and sellers. When the buyer is free to choose their own price, they are highly likely to pick a price they consider to be fair, because few customers are going to voluntarily select a price that lies outside their "spectrum of acceptability". This means that (as long as the product isn't shoddy) it's incredibly unlikely that the customer will end up feeling like they've been "ripped off" and suffering buyer's remorse. This ability for the buyer to choose the price that they find most acceptable is a profoundly important factor because it's capable of providing the best possible sense of satisfaction to the customer, and I'm pretty sure that any marketing wonk will tell you that there is no batter advert for a product than a very satisfied customer. Another of the main advantages for the seller is that they do not end up excluding customers by setting an arbitrary price for their product/service that is too high (some customers can't afford it) or too low (some customers may imagine it to be "trashy" or low quality if it is priced too low). Yet another advantage to the seller is that by giving away their product for free they are still increasing exposure to their product, and increasing their potential future market in the process. If a writer ends up giving away ten thousand copies of their book for free, then if it is a good book, that's 10,000 people who might consider returning for another book in the future (potential future paying customers), and 10,000 people who may have gone around telling their friends and family how good the book is (free advertising). The existence of freeloaders is the most obvious disadvantage to the Pay as You Feel principle. If the buyer offers to give away their product for free to those who cannot afford it, there will always be people who will take the product for free, despite being more than affluent enough to be able to pay for it. Even though the system is open to abuse by selfish people, my personal view is that I'd rather have ten of these selfish people freeloading, as long as one person who genuinely can't afford to pay isn't priced out of the market as would be the case had I chosen to use an orthodox arbitrary pricing system. Another potential disadvantage with Pay as You Feel is that some people are deterred from buying at all because they "feel bad" if they imagine that they are paying less than an appropriate price, so they may not buy the product at all rather than risk feeling bad that they've somehow "cheated" by paying less than a fair amount. A further potential disadvantage with the Pay as You Feel principle is that it is likely to be a sub-optimal pricing strategy if it is used in isolation. If the seller prefers to focus on their short-term profitability (rather than adopting some longer-term objective such as ensuring that the maximum number of people get exposure to your product) then it's probable that allowing numerous customers to take their product for free would not not be the optimal cashmaking strategy. There are several ways of optimising Pay as You Feel so that the problems outlined above are minimised as much as possible, some of which I'll detail in the next section. One of the simplest and most effective ways of optimising Pay as You Feel is to offer rewards to those who actually pay. To give an example, if you're marketing a music album, you could provide a bonus track (or three) on downloads that have actually been paid for, while the people who download the album for free just get a download of the standard version. 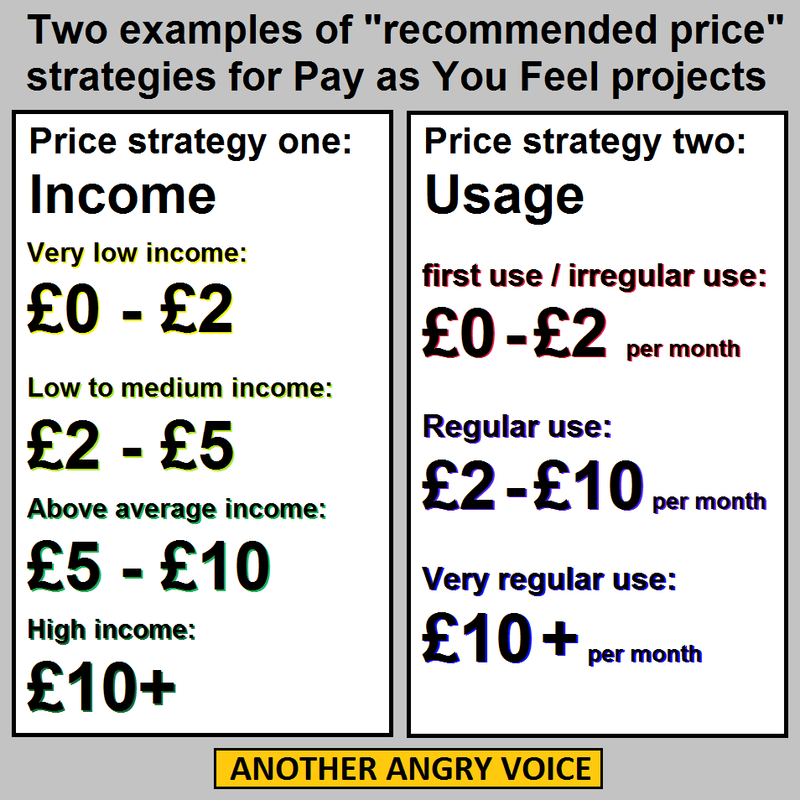 Recommended prices are a good way of minimising the effect of the potential "feel bad" effect that deters some potential customers because they're afraid of feeling guilty about having paid the wrong price (detailed above). If the customer is given a clear indication of what is considered a fair price, then they can ensure that their payment falls within their personal "spectrum of acceptability" in relation to the numbers that have been suggested by the seller. Examples of two possible "recommended price" strategies are shown in the illustration. One of the most efficient ways of maintaining a reasonably high level of payments is to offer a reward to those who beat the average price. If people can see that the average price paid by those who actually pay for the product is say £4.82, then they are likely to pay £5.00 and claim their reward. There is one potential drawback with this strategy, which is that potential customers who might be inclined to pay a lower price (say £1.50) but are unwilling to pay almost £5.00, might elect to not pay anything, or even not bother carring out the transaction at all, on the basis that they'd be getting an inferior product (the product without the reward) if they paid less than the strike price. A Pay as Your Feel restaurant is a good example to illustrate how reputation can be a strong incentive for people to actually make a Pay as You Feel payment, rather than just freeload. If a person who is clearly homeless or destitute goes in and has a meal for free, nobody is going to begrudge them it, because they can't afford to pay. However if a clearly well-to-do couple come in and try to leave without paying anything for their meal, the staff are going to judge them for it, and they'd have to be pretty shameless people to be able to walk out of the place without feeling pretty conflicted about whether the sheer embarrassment of being such a "scrounger" was really worth the few quid they saved by not paying. Online reputation is an increasingly important thing, so it is easy to see how online reputation could be used as an incentive for people to actually pay for their products in Pay as You Feel transactions. One potential strategy is the awarding of reputation points to those who choose to actually pay for Pay as You Feel products, then allowing those reputation points to be aggregated into the various online reputation management platforms of the kind that already exist. Another strategy that can be used in order to encourage customers to pay a higher amount is to make it clear that a certain percentage of the payment will be given to charity, or that if a certain payment threshold is reached, a charitable donation will be made. The fact that customers pay substantially more when they know a charitable donation will be made has been proven in research. The research showed that the increase in price paid was significantly higher than the sums given to charity, meaning that this strategy is beneficial to the seller, and to the charitable causes alike. Another way in which customers can be encouraged to pay a higher price under Pay as You Feel pricing systems is if they are given some choice over how the money is spent. If the customer is given choices like these, the transaction begins to feel more like an investment than a simple purchase at a set price. Not only does the customer get the satisfaction that part of their money is being "spent wisely", but they are also that bit more likely to remain a customer because they feel like they've actually made an investment in one of the seller's forthcoming projects, rather than having just participated in a one off set price transaction with the seller. If Pay as You Feel become a more popular pricing strategy, then there are many economic considerations. These include considerations of how such shifts in pricing strategies might interact with existing economic systems and ideas, and how Pay as You Feel could be used in conjunction with other novel economic concepts. I am aware that this article is already quite long (even by my own standards) so I'll just briefly outline a few of these considerations. The fact that the Pay as You Feel principle actually even works is yet another glaring example to add to the ever growing mountain of evidence that many of the the fundamental concepts that underpin orthodox free-market ideology are hopelessly unrealistic. If the neoclassical economic models are correct, and all humans are rational agents committed only to the serving of their own economic self-interest, then a funding model which relies on people paying money for what they could have for free, simply couldn't work. In order for Pay as You Feel projects to make money, a certain percentage of society must be ascribing a higher value to non-financial considerations such as fairness, social responsibility, generosity or charity, than to the pursuit of their own rational economic self-interest. If this were not the case then all customers would surely just choose to pay nothing and keep all of the money for themselves. The fact that Pay as You Feel projects succeed shows that any economic system that defines human beings as perfectly rational economic agents must be fundamentally incapable of accurately describing reality. Every single time a person decides to pay for something that they could have had for free, it's a poke in the eye for people who believe in the right-wing economic orthodoxy. The Pay as You Feel principle is clearly compatible with the socialist dictum "from each according to their ability, to each according to their needs", but it puts the determination of how much is to be given in the hands of the individual, rather than having it dictated by the seller, or by the state. In my view Pay as You Feel is entirely compatible with libertarian and anarchist versions of socialism where as much economic freedom as possible is devolved to the people, but it's fundamentally incompatible with old-fashioned "command and control" socialism, where the price of almost everything is dictated by centralised government agencies. Price discovery is the process by which the price of an asset is determined in the marketplace. The widespread adoption of Pay as You Feel funding models would have significant implications on the way that market prices would be determined. It is obvious that handing all discretion over the sale price to the buyer would have important price discovery implications for the enterprises that choose to adopt these strategies, but they would also have implications for other players in their marketplace too. If suddenly one seller begins offering their product on the Pay as You Feel principle, other agents may have to seriously consider adjusting their own pricing strategies in order to remain competitive. As I mentioned in the section on Pay as You Feel optimisation strategies, there is a great deal of potential overlap between Pay as You Feel and digital reputation strategies. As the availability of information storage continues growing exponentially, the capacity for tracking, managing and even financialising our digital reputation is going to increase. Money has always served as a store of reputation (the "wealth and status" aspect), so it makes a great deal of sense that this new found capacity for digitally quantifying reputation will likely be developed and financialised. If "being seen to pay a fair price for things" becomes an important part of one's digital reputation, then people's transactions with Pay as You Feel sellers could potentially assume critical importance. If Pay as You Feel pricing strategies became more common in the digital downloads marketplace then the digital copyright theft industry would be severely undermined because the customer incentive to source copyrighted material from "pirates" would be almost eliminated. Why would anyone bother going to a bootleg operation for a copy when they could just obtain the item from the originator for free, or for whatever minimal price they deem most acceptable? It doesn't matter at all whether you see online piracy as acceptable or not - it's a fact that websites like the Pirate Bay are currently seen by their users as fighting against the profiteering ways of the music, television and film industries. Under Pay as You Feel the boot would clearly be on the other foot, with the legitimate seller cast as the freedom fighter giving his stuff away for free to those who can't afford it, and the "pirates" cast as the villain taking people's work for free and profiting from it (via ad revenue on their websites, selling it at a mark-up price, plagiarism or whatever). It wouldn't be long before the myth of the digital "pirate" as the information freedom fighter would be rendered obsolete by the fact that taking stuff that someone else has given away for free and then using it to make money for yourself is nothing more than parasitical profiteering. As a customer it would take a severely tortured moral justification to explain why you went to an online bootlegger to get a copy of the film/book/animation/music, when you could have got it direct from the original source, either for free, or for whatever price you consider fairest. In my view it should be socially frowned upon to make a business model on giving away other people's free content (but not prohibited because policing the market place in free goods would blatantly a wasteful economic sinkhole of time and resources). However the act of actually charging people for access to other people's Pay as You Feel creative content should clearly be considered a crime because it represents a theft against the buyer. It's obviously fraudulent behaviour to charge someone a set fee for the content they could have had for free from the original source. I'm particularly interested in gift economics, with which the Pay as You Feel Principle is very clearly compatible. If we think of Pay as You Feel transactions as being a gift to the buyer from the seller, and the Pay as You Feel payment as a reciprocal gift to the seller from the buyer, it is easy to see how the syntax of gift economics can be used to explain such transactions. Thus transactions become "gifts" and payments become "reciprocal gifts", which builds a bond of recipricosity between the market participants, who no longer have to be considered "buyer and seller", but rather "giver and receiver". When the giver is prepared to give their property away for free as a gift, then copyright law needs serve a much simpler function; that of enforcing the inalienable ownership of the giver - that any receiver can then give the product away for free again, but the originator retains the exclusive and inalienable right to sell at a price. Gift economics is a fascinating subject, and I encourage you to do some more reading on it if ideas like the monetisation of society and the financialisation of class hierarchies make you feel sick, because gift economics provides an insight into how pre-monetary economic systems may have functioned, and how post-monetary or supra-monetary systems might be established. After consideration, it seems that the best way to conclude this rather long article is to provide a brief personal explanation of why I decided to embrace the Pay as You Feel principle, rather than taking the much simpler (and likely much more profitable) orthodox approach of blathering my website in adverts and hosting a load of paid "click bait" articles at the bottom of each post. The first reason is that I see Pay as You Feel as a test of my own faith in humanity. Do I believe strongly enough that there are enough fair-minded people out there to make enough small micro-donations between them to meet my costs of producing this blog, and my very modest costs of living? Choosing Pay as You Feel is a demonstration that I do. The second reason is that I see Pay as You Feel as a test of my own ability as a writer. Am I capable of producing writing of sufficient quality that people consider what I'm doing good enough to be worth voluntarily supporting with their own hard-earned cash? Choosing Pay as You Feel is a demonstration that I do. The third reason I've chosen to embrace Pay as You Feel is that I really want to see it succeed as a concept, because every single Pay as You feel transaction is a condemnation of the right-wing orthodoxy that tells us that humans are nothing more than self-serving units in the economy, and that every product in the economy has a fixed arbitrary price at any moment in time. Anyone who rejects the idea that the produce of their labour has a fixed price (as Pay as You Feel givers clearly do) is blatantly an economic rebel. By setting the price at 0-n (anywhere between free and whatever you want to pay for it) instead of picking an arbitrary fixed price for it, the seller is rejecting pretty much the entire orthodox economic framework. And by handing complete discretion to the receiver, the giver in the Pay as You Feel transaction is providing the receiver with the power to prove to themselves that they are behaving as unselfish agents in the economy too, meaning that their economic behaviour cannot be constrained by orthodox economic theories that cast them only as ruthlessly self-interested individuals. So to summarise, I've chosen to live by the Pay as You Feel principle out of a curious blend of faith, self-belief and rebelliousness. When Natalie Bennett was interrupted an incredible 125 times by the ex-Murdoch hack Andrew Neil in January 2015, opponents of the Green Party gleefully used clips of it as ammunition to shoot at the Green Party. Few of them seemed to care that later in the very same show Andrew Neil went on to give an incredibly lenient interview to the Tory party chairman Michael Green Sebastian Fox Grant Shapps (or whatever he's calling himself these days), in which he allowed Green Fox Shapps to endlessly repeat himself instead of answering any of the questions he was being asked. Having seen what an enormous PR disaster a poor interview can be, Natalie Bennett had absolutely no excuses for the "car crash" interview she did with Nick Ferrari (another ex-Murdoch hack) on LBC just a few weeks later. If we listen to the full interview, she actually does reasonably well for the first few minutes, talking up Caroline Lucas' exemplary record as an MP, mentioning how the Scottish independence debate has re-energised political discourse in Scotland, explaining how Green Party policies are the most popular of all on the Vote for Policies blind test and criticising the Tories butchering of the NHS in order to hand out the dismembered pieces to their party donors. The problems started when she couldn't answer a seemingly simple question about how much Private Finance Initiatives (PFI) debt legacies are costing the NHS. The answer is not an easy one to find because both the Tories and Labour before them have been understandably keen to hide these enormous debts from the public, so there is actually no easy answer. What is clear however, is that these costs are enormous. Even back in 2012 PFI debt legacies were estimated to be worth £300 billion, and the coalition government has still been signing up to more and more of them. It's also an established fact that many of the most financially unstable NHS trusts are ones that are tied in to paying off these vast PFI debt legacies. Natalie Bennett was right to raise the issue of these rip-off deals, but wrong to be so hopelessly unprepared to speak authoritatively about a subject that she had actually raised herself! 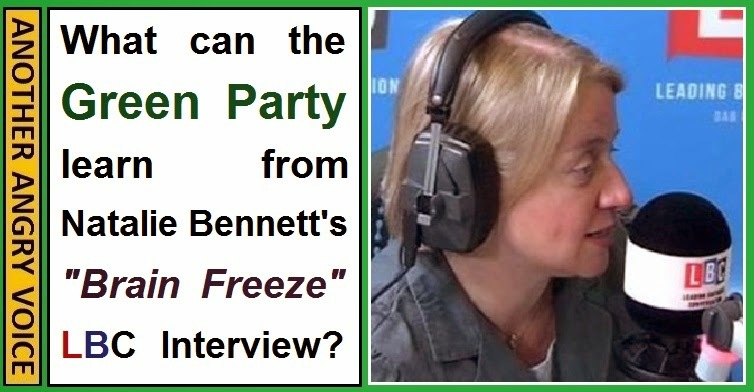 Once the interview got onto the subject of Green Party housing policy, the interview went every bit as badly as Nigel Farage's infamous LBC "car crash" interview from May 2014. Once again Natalie Bennett was exposed as being hopelessly unprepared to answer basic questions about her own parties policies. Natalie couldn't explain how the pledge to build 500,000 affordable houses was going to be funded, and failed badly to explain the fact that investment in social housing returns at least £2.40 to the economy for every £1.00 spent by the government. In my view it is actually a positive that she tried to raise the important macroeconomic theory of fiscal multiplication, however it's something that hardly anyone is going to have heard of, so a garbled explanation (like the one she gave) is certain to sound like a load of completely made-up rubbish to a significant proportion of the public. Sometimes it's better to not say anything, than to give a totally incoherent explanation of something important. 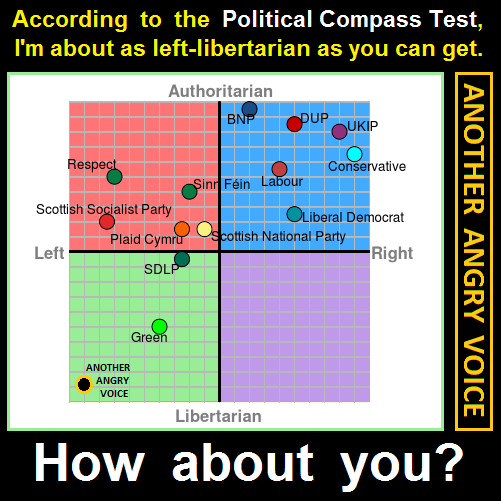 People who follow my work will know that I'm broadly sympathetic towards the Green Party (they're in the same quadrant of the political compass as I am, so it's no surprise I agree with quite a few of their policies) but when it comes to problems with the party, I'm not going to pull my punches. The Andrew Neil interview was perhaps excusable because she was heckled and interrupted to an incredible extent by a blatantly biased interviewer, but to go into another interview with another ex-Murdoch hack just a few weeks later in the same state of unpreparedness was a terrible blunder. What the LBC interview has done is created a perfect piece of evidence for the anti-Green brigade to post every time they want to make the Greens look like a clueless bunch of amateurs. And unlike the Andrew Neil interview, there is no possibility of offering the defence that she "lost it" because she was being heckled and interrupted so rudely, because the worst you could say about Nick Ferrari is that he was a tad condescending. Anyone who tries to deny that clips of the last minute or so of that Nick Ferrari interview are going to damage the Green Party by dissuading a lot of potential Green Party voters is quite frankly deluding themselves. A few people have raised concerns that Natalie Bennett is in danger of damaging or derailing the anti-austerity movement with her inability to answer seemingly basic questions. It is of fundamental importance that left-wing and centre-ground politicians begin to show how ideological austerity has failed in its own terms (George Osborne has missed all of his 2010 economic projections by absolutely miles) and explain that it doesn't work because it's nothing more than a crackpot right-wing agenda that ignores the fundamental basics of macroeconomics. Thankfully Natalie Bennett isn't the only politician arguing against ideological austerity. In fact she's not even the most important one in the UK. When it comes to the pre-election leaders' debates, Nicola Sturgeon from the SNP and Leanne Wood from Plaid Cymru will be there; they're both anti-austerity; and they're both competent public speakers. Nicola Sturgeon is particularly good judging by the well crafted demolition of Tory ideological austerity she presented in a speech in early February. 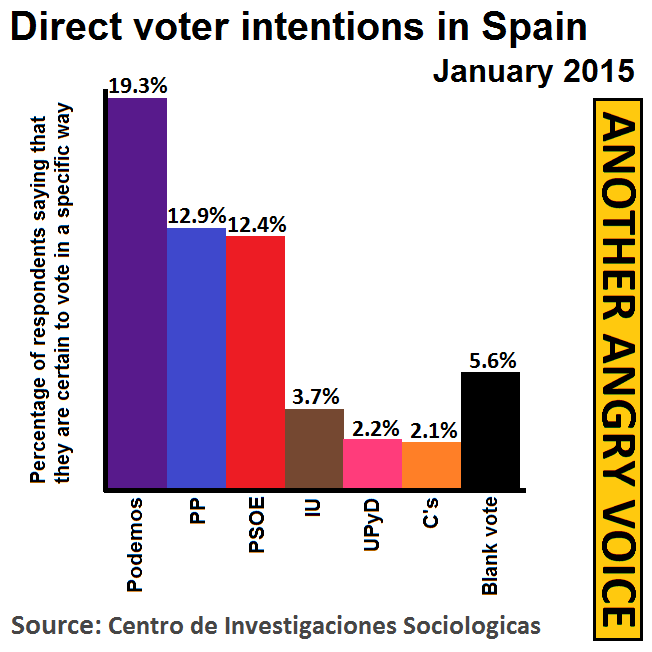 Looking beyond the UK, the emergence of high profile anti-austerity figures elsewhere in Europe is an important factor. 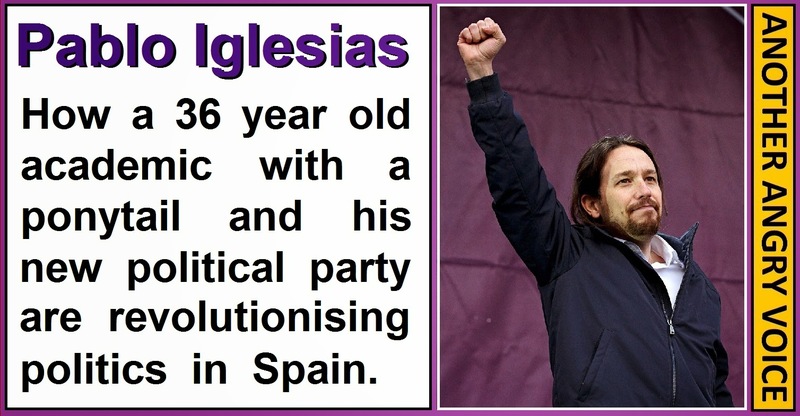 The new Greek finance minister Yanis Varoufakis clearly knows what he's talking about (I've been following his excellent blog for a few years) and Pablo Iglesias has taken the anti-austerity Podemos (We Can) party to the top of the Spanish polls, even though the party was only founded in March 2014! In my view, the idea that more of Natalie Bennett's stumbling and mumbling might deliver a death-blow to the anti-austerity movement is completely unwarranted hyperbole. I've heard a lot of excuses from Green Party loyalists, and none of them are particularly convincing. One of the most commonly proffered tropes is that the other parties can afford loads of image consultants to help them look slick and professional, whilst on their shoe-string budget (the Greens don't accept donations from millionaire tax-dodgers), the party simply can't afford it. The problem with this excuse is that there is a vast difference between being not having been coached to appear slick and professional, and being woefully ill-prepared for an important public interview. Other Green Party supporters have tried to say that Natalie's woeful performance was okay because "we all make mistakes" and "at least it shows that she's human". While there is an element of truth to both of these points, it doesn't prevent the fact that many thousands of potential Green Party voters will have been put off by this performance, and Green Party critics will now be able to use it as ammunition for the remainder of Natalie's tenure as Green Party leader. Some people have tried to offer the defence that "policies are more important than personalities", which again is a fair point when considered in isolation. However if the politician who you've chosen to be the figurehead of your party is incapable of offering a coherent explanation of the carefully costed policies that you've been working on, and in fact makes them appear to be a bunch of made-up nonsense, then that's not a matter of "personality politics" at all, its a matter of basic competence. Sometimes it is important to look beyond our desire to defend people with whom we have an affinity, and realise that making excuses for them isn't going to help. The only thing that is going to actually help is if we let them know that they've made a mistake, tell them that we expect better, and offer them the support that they need in order to avoid making that same mistake again. Natalie Bennett has tried to mitigate the damage by making a lot of apologies for her "brain freeze", including this one in the Guardian. Making such apologies is clearly the right thing to do in the short-term, because she has damaged the Green Party and disappointed an awful lot of Green Party supporters. However such apologies are not going to win over very many neutrals. It is certainly important to apologise when we've let people down, but something my mother always tried to instill in me was that the most important part of the apology is not actually the words that comprise it, but the effort we make to not do the same thing again. What Natalie Bennett needs to do now is to work out a strategy so that she doesn't end up getting all flustered like that again the next time she's asked for specific facts and figures, because it's now absolutely certain that almost every interviewer she faces is going to try to catch her out again so that they too can go viral like Andrew Neil and Nick Ferrari have. The Green Party have learned that Natalie Bennett is limited when it comes to remembering specific facts and figures, thinking on her feet and answering questions under stress. It's far too close to the election for her to stand down, so the Green Party are just going to have to play with the hand they've got. The fact that Natalie Bennett struggles in interviews is a very serious problem, but it is a problem that can be mitigated through the use of a few simple tactics (tactics that anybody can use). Always agree the topics of discussion with the interviewer beforehand, then make sure you're well prepared on those subjects. If you're going to talk about something that the majority of people aren't aware of (like fiscal multiplication) you've got to make sure you give a very clear and authoritative explanation, because if you don't, it will sound like completely made-up rubbish to most of your audience. Always take detailed notes so that you can look up specific figures if you forget them under pressure. Remember that taking a moment to look up a specific figure actually gives you the time to prepare a nice clear answer to the question. If any interviewer attacks you for not knowing a specific figure off the top of your head, turn it back on them by asking whether they want to know the precise answer to their question (in which case they'll have to wait a moment while you look it up) or whether they want to have a completely different debate about your personal ability to accurately memorise thousands of precise figures. I've always had my reservations about Natalie Bennett as leader of the Green Party, but rather than make a song and dance saying "I told you so didn't I? ", I've decided to try to give a more-or-less neutral appraisal of the damage Natalie Bennett's stumbling and mumbling is doing to the Green Party and to the wider anti-austerity movement, and offer some advice on how the Green Party can try to mitigate these problems in future. 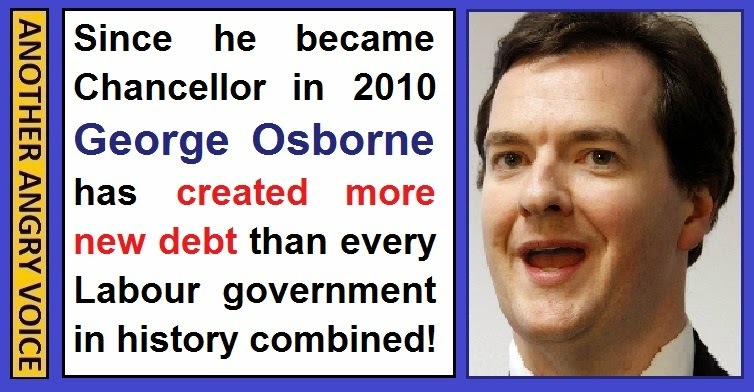 George Osborne has created more debt than every Labour government in history! 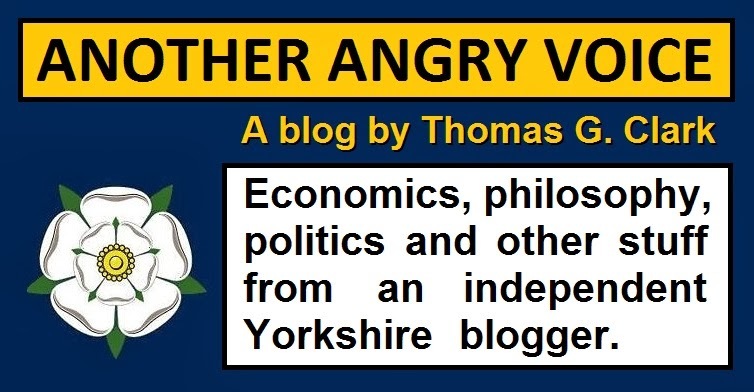 Over the years I've presented a lot of facts and statistics to demonstrate that George Osborne has been doing a terrible job as Chancellor of the Exchequer, and that his ideological austerity agenda is spectacularly failing to achieve what he claimed it was going to when he came to power in 2010. One of the main problems I've faced is that the facts and statistics I've presented contradict the almost ubiquitous mainstream media narratives that "George Osborne is doing a good job under difficult circumstances" and that "there is no alternative" to his ideological austerity agenda. People find it difficult to accept the evidence that I'm presenting because it conflicts so badly with the narratives they've been conditioned to accept as true through their endless repetition in the mainstream media. One of the assertions that people really struggle to accept is that George Osborne has created more new debt than every Labour government in history combined. This one is particularly hard for people to come to terms with because it conflicts with the (totally inaccurate) "folk wisdom" that "Labour always spend loads of money, then the Tories have to tidy up the mess". Further confusion is added by the way that Tory politicians (including the Prime Minister David Cameron) try to conflate the meanings of "the debt" and "the deficit" which are economic terms with completely different meanings. A quick look at the economic evidence reveals that only two Labour governments have ever left office leaving the national debt higher as a percentage of GDP than it was when they came to power, and all of the others have lowered it as a percentage of GDP. On the two occasions that Labour oversaw increases in the national debt as a percentage of GDP there were the mitigating circumstances of huge global financial crises. The Ramsay MacDonald government of 1929-31 coincided with global fallout from the Wall Street Crash (they left a 12% increase in the debt to GDP ratio), and the last few years of the Blair-Brown government of 1997-2010 coincided with the 2008 financial sector insolvency crisis (they left an 11% increase). The other Labour governments all reduced the scale of the national debt, Clement Attlee's government of 1945-51 reduced the national debt by 40% of GDP despite having to rebuild the UK economy from the ruins of the Second World War; Harold Wilson's 1964-70 government reduced the national debt by 27% of GDP; and even the Wilson-Callaghan government of 1974-79 managed to reduce the debt by 4% of GDP. The majority of Labour governments have ended up reducing the national debt, and the two that didn't happened to coincide with the biggest global financial crisis of the 20th Century and the biggest global financial crisis so far in the 21st Century. When we come to look at George Osborne's own record as Chancellor of the Exchequer it is an established fact that in his first 3 years as Chancellor, Osborne managed to add more to the national debt than the Labour Party did in the 13 preceding years. By George Osborne's own estimates, the national debt will have grown by 26.9% of GDP between 2010 and 2015. If you want to check this for yourself, have a look at page 19 of the November 2010 OBR Economic and Fiscal Outlook which records the debt to GDP ratio as 53.5% of GDP for 2009-10, and page 20 of the December 2014 OBR Economic and Fiscal Outlook which records the debt to GDP ratio for 2014-15 as being 80.4%. Having increased public sector debt by 26.9% in five years, George Osborne has undeniably created more new debt than any single Labour government in history ever has. In fact it's a bigger proportional increase in the national debt than all of the Labour governments in history combined. The reason I've written this article is not that I support the Labour Party. Anyone who is familiar with my work knows that I'm not a Labour Party loyalist, and anyone who isn't familiar with my work can read this, this and this to establish that I'm no blind Labour Party tribalist. The reason I've written it is that I believe that George Osborne is such a poor Chancellor that he makes Gordon Brown's tenure look highly competent in comparison! It's absolutely incredible that George Osborne has the chutzpah to carry on churning out the "irresponsible Labour" narratives when his ideological austerity agenda has failed so spectacularly in its own terms, meaning that in just five years he's ended up creating more debt than every Labour government in history combined!